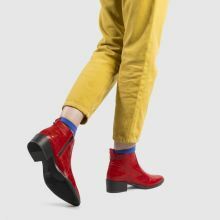 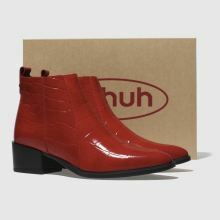 The fashion crowd will be on red alert when you rock the Lyle cowboy heeled boot from schuh. 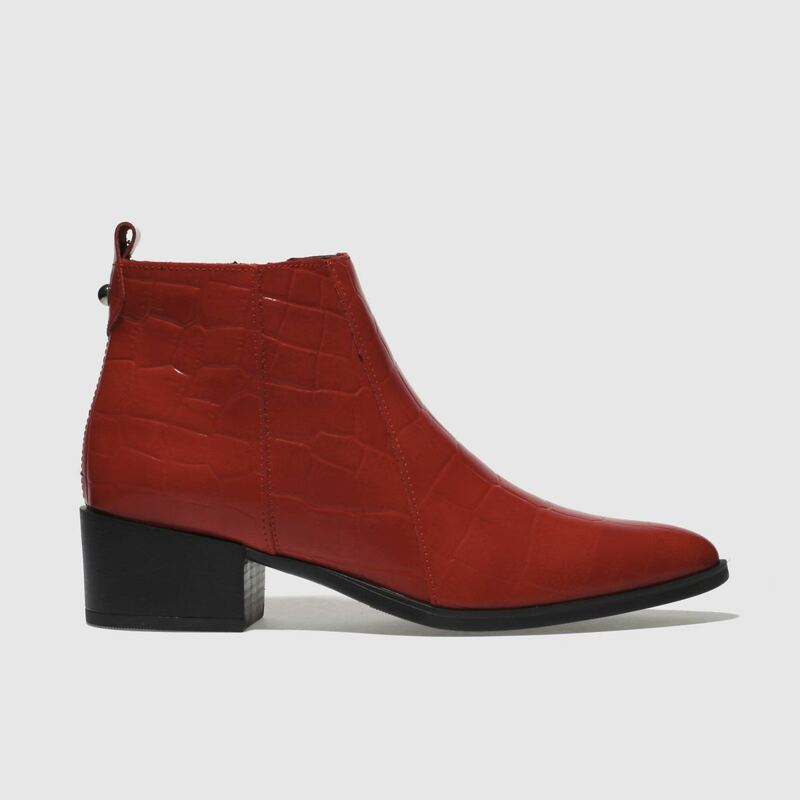 The red leather upper is crafted with a crocodile skin pattern, making for a daring look while a side zip makes for easy wearing. 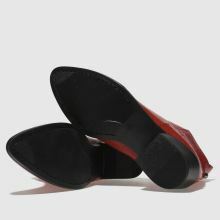 A 5cm block heel completes.